First off, Happy Memorial Day! I always forget how excited I get for this weekend to roll around as it means summer is finally here. Unofficially of course, but why not celebrate and kick start summer a little early. I'm all for it! 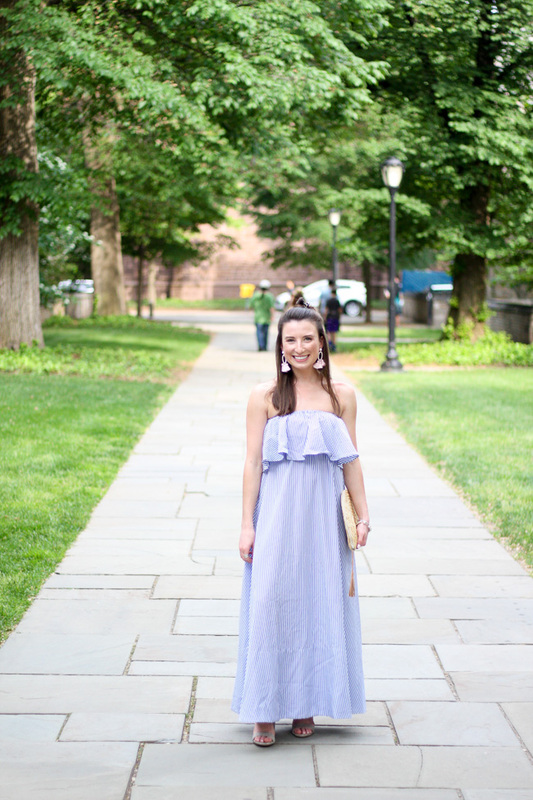 I didn't realize it until I went to write this post, but I have been sharing a lot of dresses with you lately here on Faith & Fancy. I hope you all don't mind, but I just can't help it! 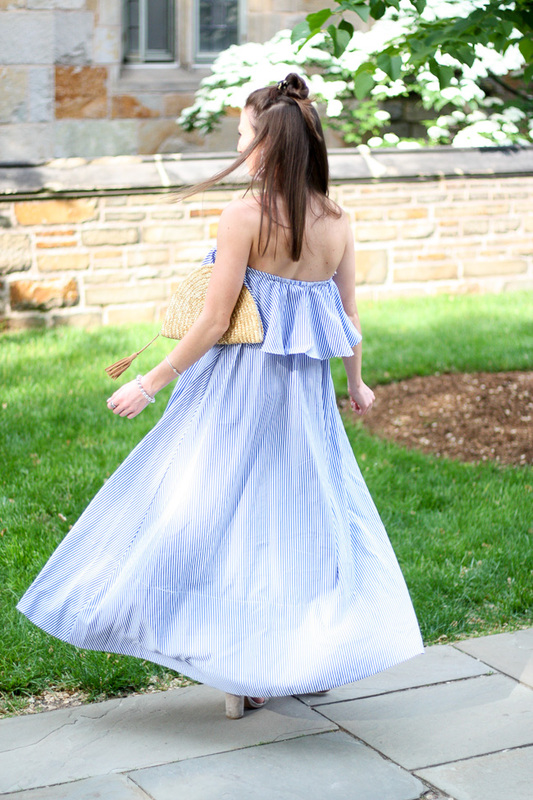 With summer here, there are so many great dresses out there, and I am taking advantage! 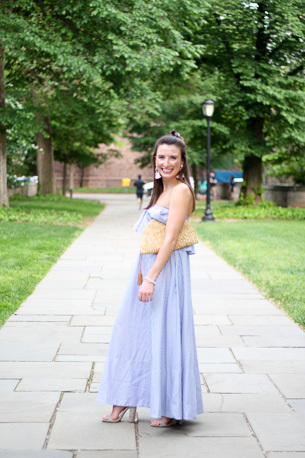 I think dresses are some of my favorite pieces to wear during the summer months. They are so easy to throw on and summertime gives us plenty of opportunities to wear them! When I first saw this dress I knew it would be a staple for summer. I mean the blue & white stripes and a ruffle top... I mean all the heart eyes. I was sold. It is a very Gretchen dress if I do say so myself! How perfect would it be for an outdoor wedding or a July Fourth backyard barbecue. I love that it can be dressed up or down for either, and that is exactly what I plan on doing with this dress in the upcoming months. I've linked it below so you can snag one for yourself for all your summertime activities!